I'll begin this post with the good news of a discount code, because it'd be a shame if you missed out on it and because if you're anything like me, you love a good bargain! So once you're done reading my review of a selection of vegan skincare products by Bourne Beautiful Naturals, go bag yourself some items at 15% off each purchase, using the code: VEGAN_NIGERIAN15 (valid until 31 December 2017). 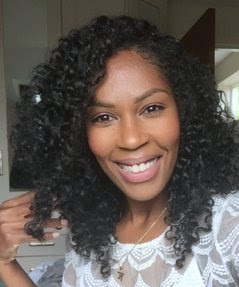 Kadian, who is also a PhD student, began BBN back in 2014 as a way of addressing some of her natural hair and skincare needs. Her initial experiments led to a full-blown business when she sold to the public for the first time in 2016. Find out more about Kadian's story here. This was by far my favourite of the bunch. From the gorgeous fragrance (and brace yourself, as this becomes a running theme throughout this review) to the surprising way it melts into a luxurious cream once it hits the skin, I thought this product was near-perfect. 'Near' and not 'completely' only because I thought it could do with more sugar incorporated into the mixture in order to enhance the exfoliating effect. Or perhaps granulated brown sugar instead of muscovado sugar for a grittier feel? Then again, that is just a personal preference and there is logic to choosing the finer grains of muscovado sugar, as this makes for a gentler exfoliant that is suited to all skin types and unlikely to cause any cuts or scrapes on sensitive areas like the face. I suppose a more abrasive formula would be ideal for treating the dead skin on tougher areas like the feet. At the end of the day, my skin was left feeling soft and moisturised afterwards. Thanks, I imagine, to the avocado oil, shea butter, cocoa butter and sunflower oil used to enrich the formula. Again, I return to the fragrance of the product. Imagine intense, pure vanilla in all its intoxicating sweetness. Imagine that scent clinging to your skin and lasting the entire day, so that halfway through a mundane task you close your eyes and imagine that you are skipping through a field of vanilla cupcakes. (Excuse the cringe). That is what it's like to use this particular body wash. I chose vanilla bean from a long list of fragrance options but if that's not your style then one of the others may appeal, including, but not limited to: azalea, basil & citrus, coconut, lavender and peppermint. This was easily my second favourite product to test out. The cream is extremely thick and so the only downside was that it was a struggle to squeeze it out of the dispenser at first. This led me to think that it would probably work better packaged in a lidded tub instead. My weak arm muscles aside, however, applying the lotion itself is like rubbing silk onto your skin. With ingredients that include coconut oil (my fave), shea butter (my other fave), cocoa butter, sweet almond oil, oat silk and aloe vera, this ought to be crowned the queen of lotions for anyone who struggles with dry, itchy, eczema-prone skin. And I know I'm beginning to sound like a broken record but this too smells like a dream! 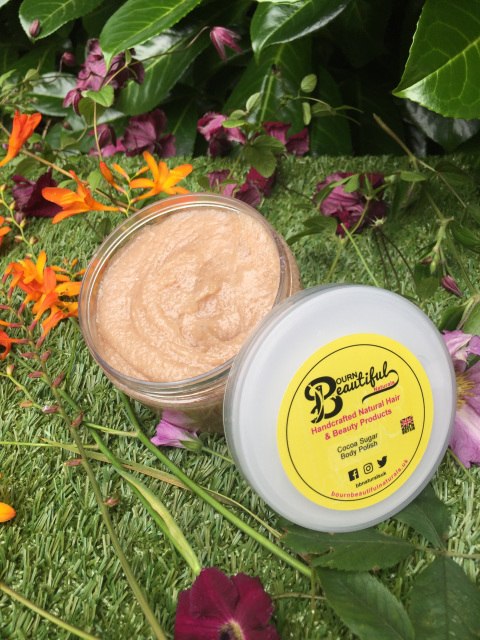 As if the ingredients mentioned above are not delightful enough, this product contains a few gems such as rose water, mango butter, hazelnut oil and green tea extract. Major points for mixture originality. But points also for function, because this velvety body cream moisturises deeply and lasts a whooping 24 hours. I tested this product over the bank holiday weekend when the weather was particularly hot and humid, and my biggest concern was that it would sit heavily and form a greasy layer on my skin, or that it would clog up my pores and leave my skin feeling sticky and irritated (talk about preparing for the worst!) Happy to report that none of my fears were confirmed. 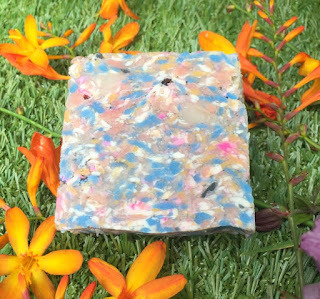 The most beautiful item of the lot, this block - aptly named Confetti Carnivale - is a mesh of pink, blue, purple, gold and white flecks of soap. I promise that this is the last time I will mention this (well, we're nearing the end of the review anyway so I might as well drop it in), but it smells so gooood. Like apple blossom, to be exact. Or freshly washed linen sheets. Or a beautiful spring day. You get the idea. It works particularly well as a hand wash if you're worried about getting the little flecks stuck in your sponge. 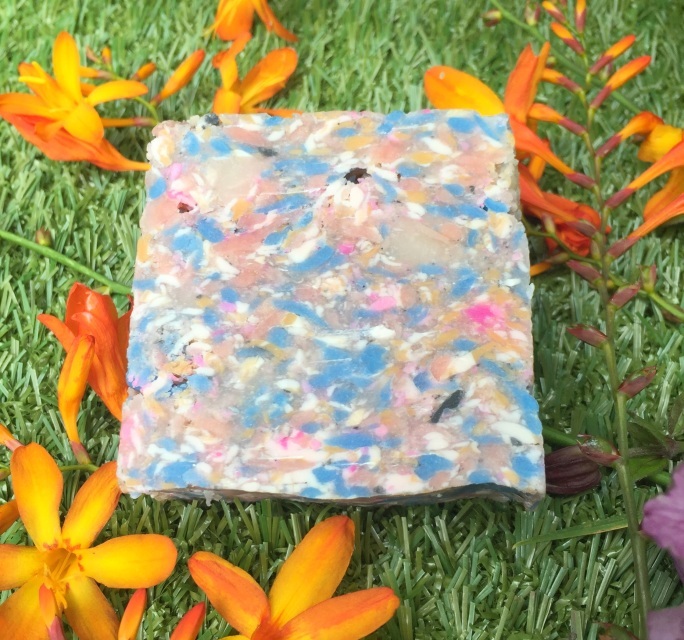 Otherwise it's all out great as a bath soap that lathers easily and moisturises effectively (as it also contains a blend of oils and butters). 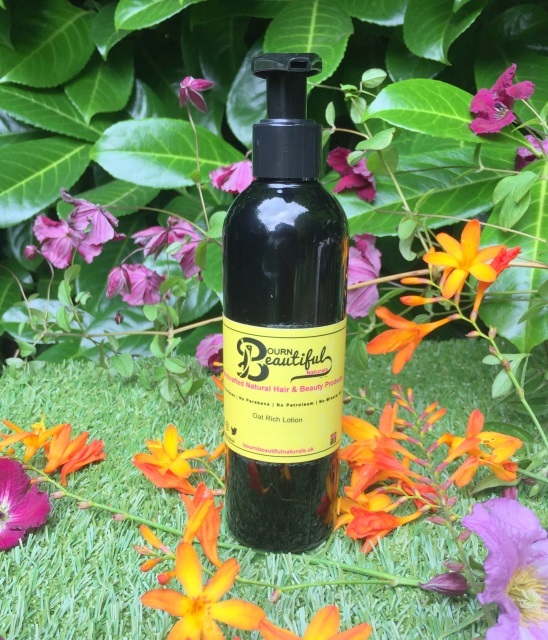 For the delicious fragrances, moisturising properties and natural (and vegan) ingredients, BBN's skincare products are for sure worth your time, support and consideration. Don't forget to quote the discount code (VEGAN_NIGERIAN15) when checking out. 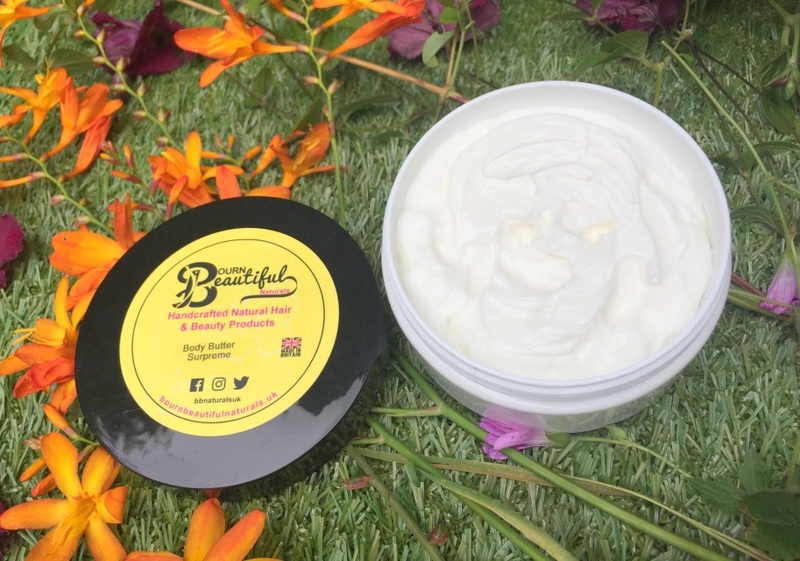 Connect with Bourne Beautiful Naturals on Facebook, Twitter and Instagram. Disclaimer: this review was not paid for and there are no affiliate links. All views are my own. Thanks for this information I will try this. I love natural things instead of chemical products. But due to lack of time I have to use it. Since last month I am using lifecell all-in-one anti aging treatment and I am getting very beautiful results. It's a must try cream. Thankyou so much for sharing these products with us...all of them are natural products so we should try it beause they dont contains any chemicals. !